With over 30 years of experience, we're the industry leader in high-quality waterfront inflatables and custom vinyl products. 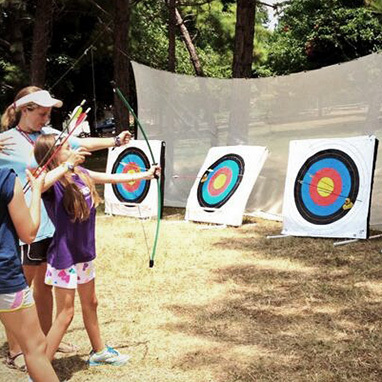 We keep your campers, patrons, or family entertained while providing the maximum amount of fun. So many products for summer fun! From Blobs® to water slides, ski tubes, obstacle courses, and shade coverings, we create the highest-quality inflatable and vinyl products. 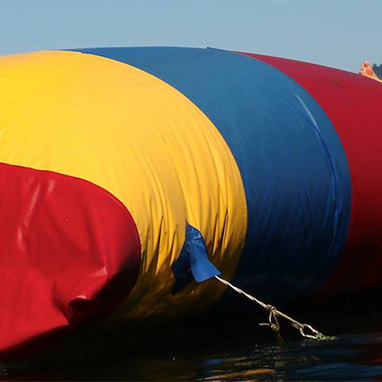 Launch your friends into waterfront fun with our full-sized blobs. Great for a camp or resort, with customizable colors and high-quality, 2-ply construction. 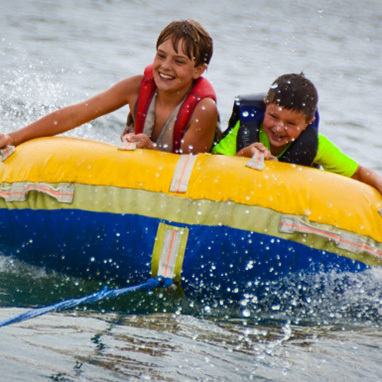 This smaller, easy-to-use Blob® is great for family vacations, yacht trips, or lakeside fun, and provides the perfect bounce for your weekend getaway. So, what is a Blob®? The WaterBlob® is a giant water inflatable created to give the adrenaline rush of a lifetime. It is typically set up at summer camps, lakes, or shorelines. 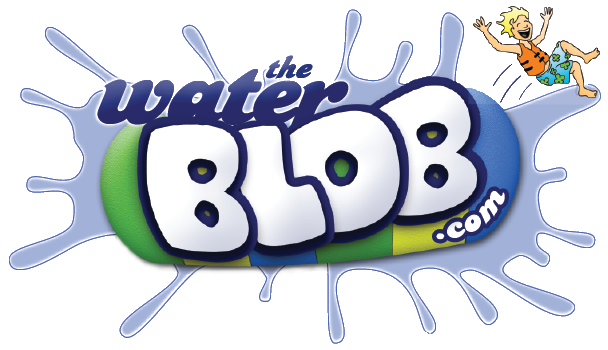 The person being launched (the "flyer") sits at the front end of the Blob®. 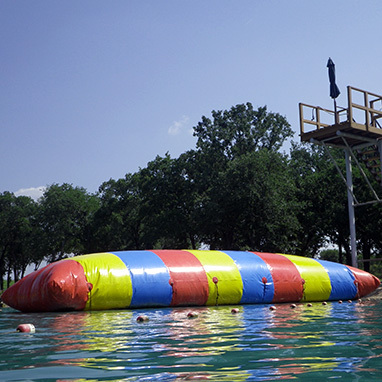 The person launching them (the "jumper") cannonballs from a high platform onto The Blob®. The flyer is launched into the water for an amazing high-flying dive! The jumper then moves forward to become the next flyer. 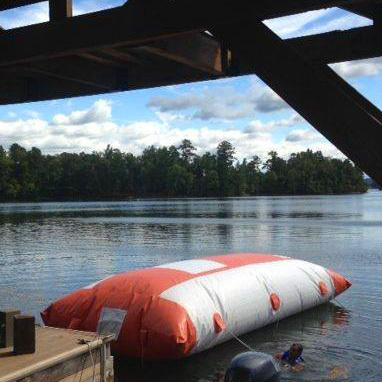 We make the only original Blob®, built in the USA with great care and quality materials. We pride ourselves on quality and perform our own repairs. Accept no substitutes. Want to read more about our quality and warranties? “I have purchased two of their Wave Whirl Inner Tubes that I pull behind my boat. They are by far the best inner tubes I have ever owned in my 20 years of boating. We have had enjoyed them." We are Springfield Special Products, makers of the original WaterBlob® and many other custom vinyl products. Our product has appeared on Wipeout, Heavyweights, Nitro Circus, and many other features. The WaterBlob® success is due to our focus on our use of high-quality materials for extreme durability, and our capability to repair and maintain WaterBlob® products for a lifetime. Ready to start your summer fun? Tell us what you’re looking for, and we’ll get in touch shortly!